It is a great time to be on the Mendocino Coast. The wildflowers are blooming and the birds are singing. Of course we are biased, but we think it is a great time to be kayaking too. The wildlife on the Noyo River has been quite busy. We are seeing birds carrying nesting material, feeding, hunting, caring for young, and even some mating. 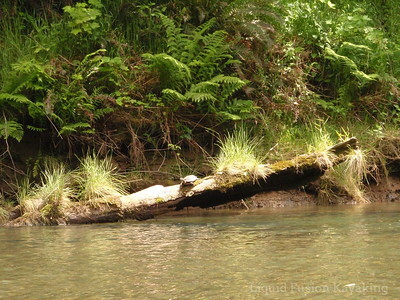 The turtles have been out sunning themselves on logs. There is a lot to see from shore and from our deck but to see it from the water is a whole different perspective. Much of the habitat of the Noyo River is riparian meaning alongside a river. Riparian habitats tend to be rich wildlife zones. The vegetation of a riparian habitat is often dense so sometimes the best way to see it is to see if from the water. 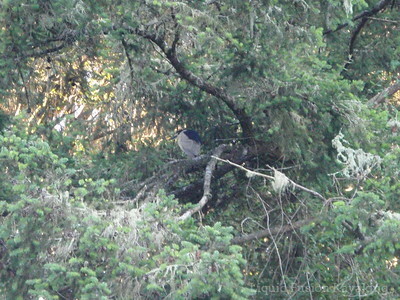 Here's a black crowned night heron tucked away in a fir tree along the river. Everyone comments how they see things differently from the seat of a kayak on the water. It truly is a different perspective on the landscape. The wildlife often views us differently as well. They can feel threatened by us if we approach them. But if we exercise care by going slow, paddling parallel and avoiding looking directly at them, they are content to watch us paddle by. (Harbor seals in the water are a different story as they seem to like to follow us around). Our Tracks to Kayaks Trip has been regularly seeing turtles. Our Sunset Bird Paddles this week have been just spectacular. The evening lighting has been ethereal and everyone has enjoyed mellow meanders with lots of wildlife displays. 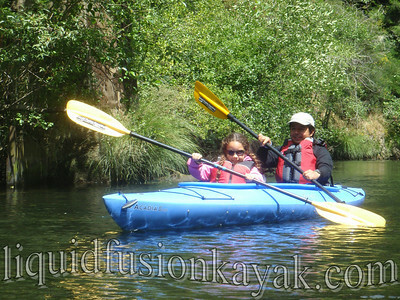 We have had many first timers out that have become hooked on kayaking. 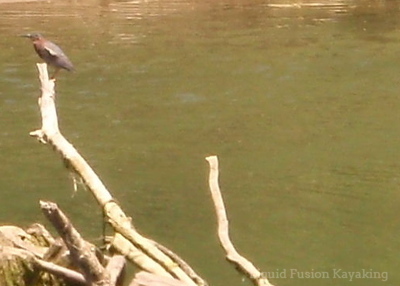 On last night's paddle we saw at least 3 green herons. We've been regularly seeing an adult across from our deck and suspect that there is a nest across from us in the thick vegetation. The green heron continues to be one of my all time favorite birds as it is the one that captured my interest in birding. We haven't seen any fawns yet but expect to start seeing them soon. We had a pair of deer swim across the river in front of a family who had rented kayaks from us. They were so surprised. 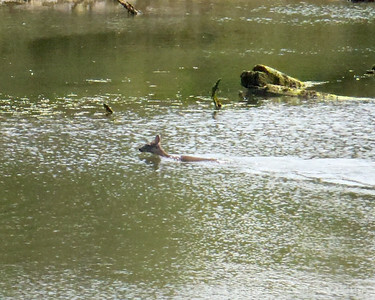 This photo is taken from our deck where the deer often swim across the river. 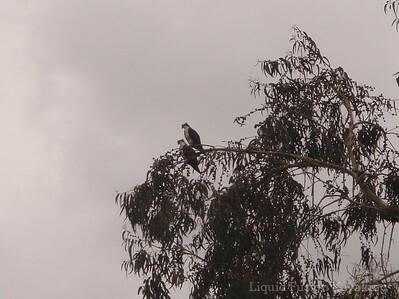 The 5 osprey nests within a 1/2 mile of our shop at Dolphin Isle have been very active. We are optimistic that we are going to be watching quite a few young ospreys in a couple of weeks. It is definitely a busy time of the year. We hope that you get outside to enjoy it.